Leonardo da Vinci, obsessed with visions of the world collapsing in a deluge late in his life, kept drawing countless swirls of water eroding the earth. While delicate and still bold drawings done by Ugetsu resemble those of Leonardo’s, they would more likely impress us as phenomenon of the world in the making, rather than in the process of collapsing. The spiraling swirls, organic or inorganic, might as well be fundamental lines piercing through the natural world. When we are moved by the works of Ugetsu, we are literally experiencing a resonance between his lines and the lines piercing through our inner life. The concept of “Rimpa” has gone beyond the narrow and closed framework of the Japanese art history since the beginning of the 21st century and is now shared across the world. It is probably a synonym of “Mannerism” as Tatsuhiko Shibusawa once declared. 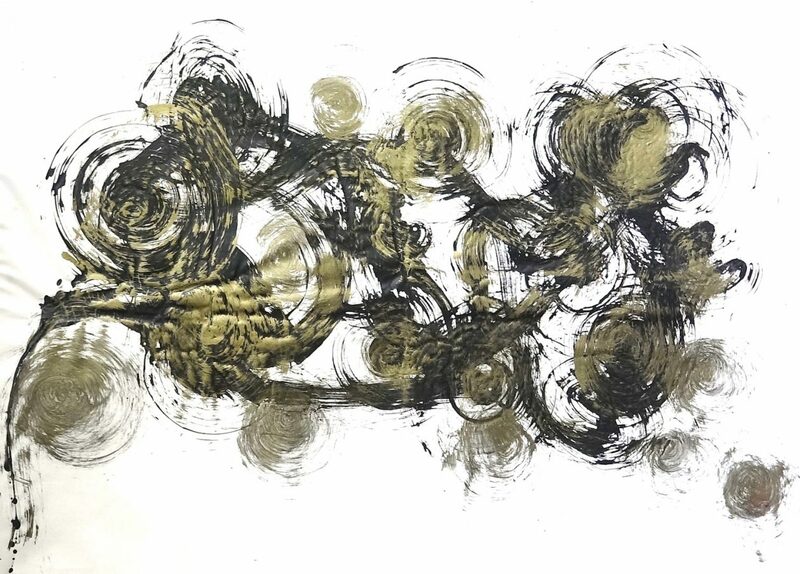 The works of Ugetsu, artist of whirls, belong to the lineage of “unfinished Rimpa”, dating back to Ogata Korin’s search for irregular currents and whirls in his White Plum Blossoms. Where does it start? And where does it end? Viewers would inevitably look for the start and the end of a dancing flow of brush strokes by Ugetsu. 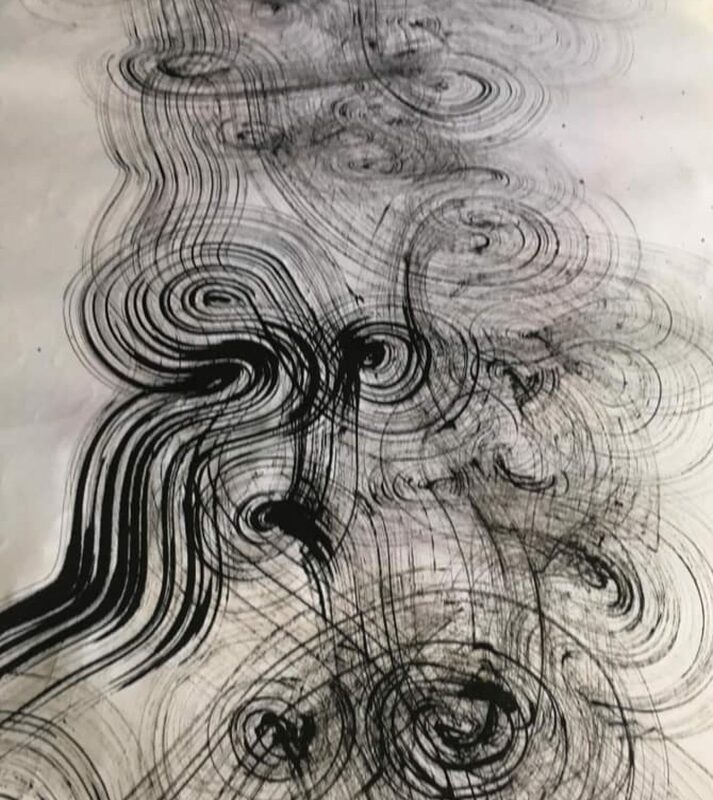 It is music played with black ink. It is a requiem. It is because of this tune that a life emerging from the line touches a chord.